The cult hit RPG comes to Nintendo Switch with mixed results. 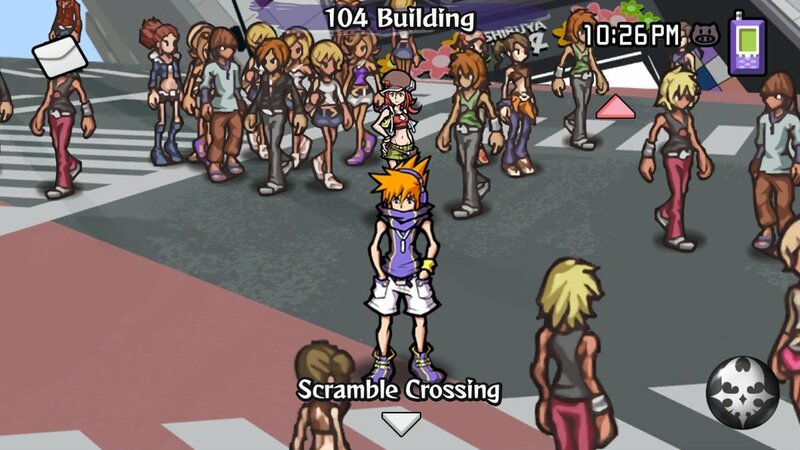 The World Ends With You was one of the best JRPGs the Nintendo DS ever saw, and while it didn’t sell that well, it really should have. It was a colorful, frenetic, and wholly unique twist on the typical formula for the genre, with fast-paced combat and a soundtrack that positively bumped. Square Enix didn’t give up on the game in its entirety even with lukewarm sales, however, as a mobile port of the game was released as The World Ends With You: Solo Remix in 2012 for iPad. Fast forward to 2018, and it’s landed on Nintendo’s resident port machine, the Nintendo Switch, as The World Ends With You: Final Remix. It’s gotten the remaster it deserves and the chance to reach the player base it should have been able to when it first released. The Switch, as expected, is the perfect place for the game, and presents an overall sublime vision of the quirky cult smash. Unfortunately, as is usually the case with ports involving precise, stylus-based controls, there are movement problems that make it more frustrating than the original ever was. Still, with that said, this trip to Shibuya is still well worth taking, despite a few small missteps. Eh, still sounds like a small-fry blog. After joining a bubbly young girl named Shiki and entering what she refers to as a "pact," the two team up to combat supernatural beings known as "Noise" while completing a new mission each day for seven days. The immediate purpose of the Reapers' Game is unclear, but all is revealed over the course of the game. Across three separate acts, Neku becomes far less antisocial, we learn about his partner Shiki's true personality, and witness the deaths of some dear friends we've made along the way. It doesn’t take long to set the stage in-game, and the story moves at a brisk pace, punctuated by battles with Noise between major plot revelations. Most of your time will be spent locked in combat with the creatures, apparently birthed from feelings like hatred, jealousy, frustration, and other negative emotions, but there are plenty of other aspects to the game, too. 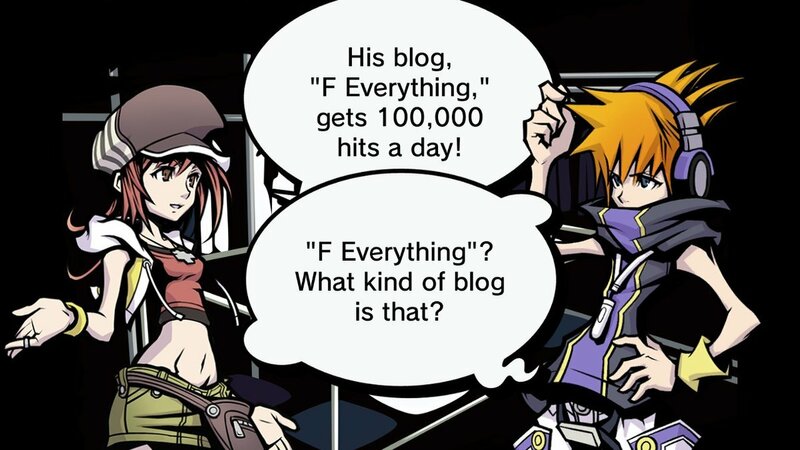 One major element you’ll spend much of your time with is Neku’s scanning technique, which lets him zero in on others’ thoughts. It’s also how you choose which battles you want to take part in, as there are no random encounters. You can chain enemy symbols together to aim for grand beatdowns while working on missions, or take things slowly and handle one battle at a time, though you’ll get fewer spoils that way. You can even change the game difficulty on the fly from Normal to Easy if you find yourself having trouble, or alter the enemy/drop level to ensure you get the most experience and goodies after battle when you’re ready for the additional challenge. Originally, combat took place across the top and bottom DS screens. That obviously wasn't going to work with the Switch version, so it's been compressed down into one screen so things make more sense. That causes a few problems, though ultimately it was a choice that works out for the better. Unless you lay the system flat on a table and brace it against something while you're tapping and swiping, the best way to hold it to play in handheld mode is by awkwardly cradling the Switch in one arm and pulling off attacks with the other. As you can imagine, this isn't the most comfortable way to play, but it certainly trumps playing with the system docked. While docked, you (and your co-op partner, if you so choose) can play with another Joy-con as a pointer, similar to that of a Wii remote. You simply move the controller around like a pointer. It’s serviceable, though it can take some getting used to. In the end, I preferred playing with the Joy-con via motion control because the touch screen felt so grossly inaccurate most of the time. Even with the added frustration of having to re-center the cursor with “Y” every few minutes, it began to feel more natural than the touch screen, which by the time I had finished each play session was smudged beyond all recognition (a common Switch complaint for me). These control input methods mar an otherwise excellent experience, and it’s highly unfortunate the game didn’t implement some other, simpler way to utilize the Joy-cons other than this awkward Wii remote-like setup. It’s nothing like using the stylus with the DS version, and there are extremely frustrating situations with both handheld and docked mode’s control options, so if this is your first time enjoying the game you might opt for picking up the original instead. As you and your partner work together in battle, you'll raise your Fusion percentage meter, which when filled will let you rip through enemies with a special attack. 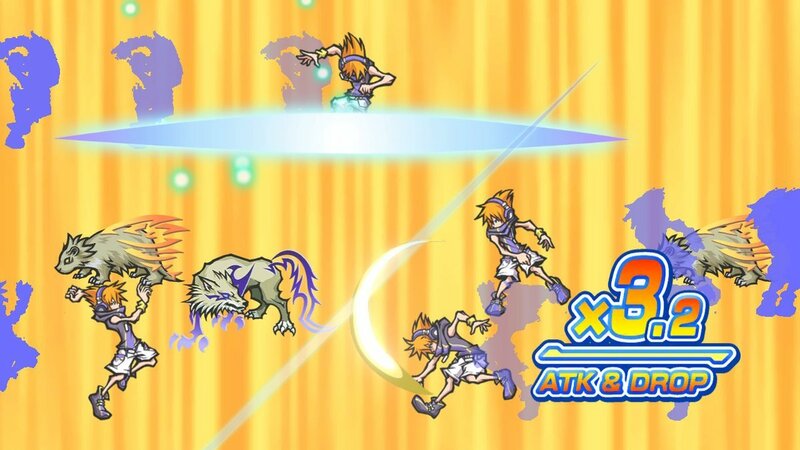 Before you pull off your attack, action is paused for just a moment so you can power it up with a damage multiplier. Several cards appear with ESP shapes on them (star, wavy lines, etc.) and a few are exposed briefly before you're asked to recall matches. Several rounds of successful matches build up a multiplier that'll power up your attack tremendously. Sometimes, these are the difference between conquering a formidable boss or having to come back with a new Pin configuration, so it’s best to become adept at choosing which cards are a match. Passing the energy puck was a cool effect and required some strategizing on the player's part, but condensing combat into one screen is actually much more efficient. While your partner was previously a character controlled independently of Neku, now they're just another Pin that you can utilize just like the rest you have equipped at any given moment. It actually works much better like this, and I vastly preferred having Shiki as a partner I could control at least somewhat rather than exchanging control. You can have a co-op partner play with her, if you’d like, as well. 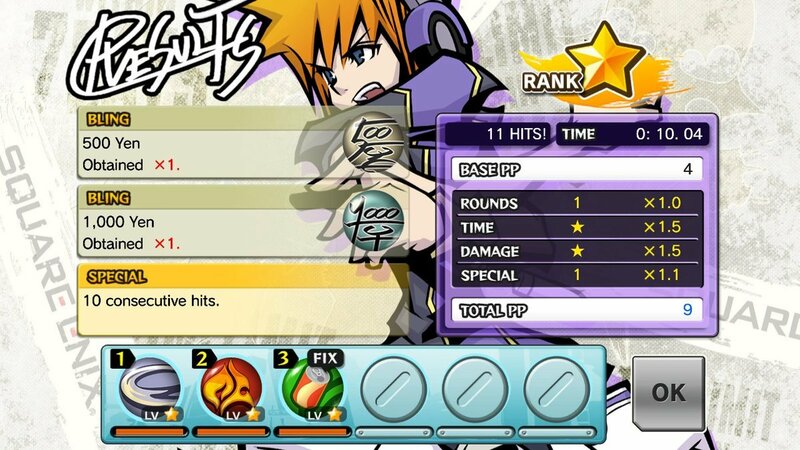 Neku is literally powerless without Pins (as evidenced in your first fight where all you can do is escape), so you need to amass a powerful collection if you want to make a dent in the dozens of Noise enemies you'll be fighting. You'll get them from battles, by purchasing them at shops, and sometimes for completing quests and objectives. Each come packing a unique power that you can employ in battle via taps, swipes, lines, and circles. From lines of fire to energy beams that can make short work of bosses, there's a wide variety of different powers available that make the amount of time you spend in combat engaging and exciting. Plus, the whole "collect 'em all" schtick that's heavily encouraged makes willingly jumping into combat feel like much less of a slog. Combat is extremely satisfying, controls aside, as there are so many elements beyond which strategic pin placement you opt for. Even your clothing plays a role in battle. Given that Shibuya is a fashionable and trendy town, it wouldn't make any sense for the game not to at least play into that at least a bit, and it truly delivers in that respect. At any given time, the brand of clothing you're wearing can affect your performance in battle. If you're in a certain part of the map where a particular brand is in vogue, you may find stat bonuses. If you're all kitted out in lame duds, you'll see attack damage halved, or even defense lowered. You have to stay trendy, or it just might kill you! 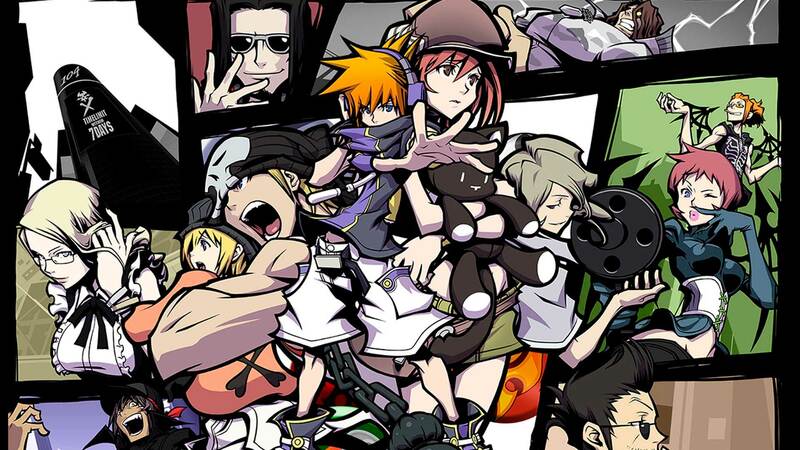 The World Ends With You: Final Remix is a cacophony of fantastic, fashion-forward sights and sounds, with a song rotation that ranks up there with the legendary Shoji Meguro's work on the Persona series. A range of genres, from J-pop to rap and everything in between, act as a fantastical accompaniment to the crisp and colorful onscreen action. The HD art looks phenomenal, and the addition of The New Day scenario and additional pins for this version give fans every reason to come back to the game or try it for the first time. This is, by all means, the best way to experience the game beyond grabbing a copy of the Nintendo DS original (potentially pricey if you don’t have it already), with non-stop action, great visuals, and plenty of content to wade through. It’s a shame the controls are so annoying to deal with, because all of the other elements fall so neatly into place. 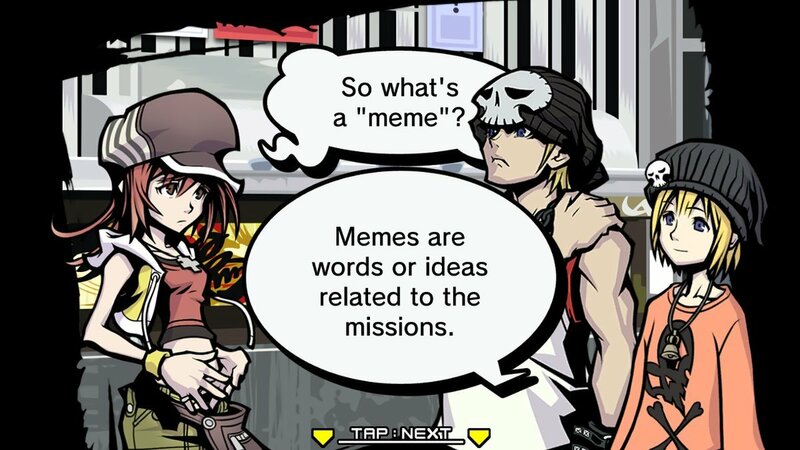 It’s as if the foundation has finally been laid for a new entry in a potential series, but if there were ever to be another The World Ends With You game, it would need to drastically improve on the control inputs. Despite these issues, however, this was some of the most fun I’ve had with my Switch thus far, and it’s an integral part of any Switch owner’s library – control problems aside. You’re invited to play the Reaper’s Game, and you’ll enjoy (most) every minute of it. This review is based on a Nintendo Switch digital code provided by the publisher. 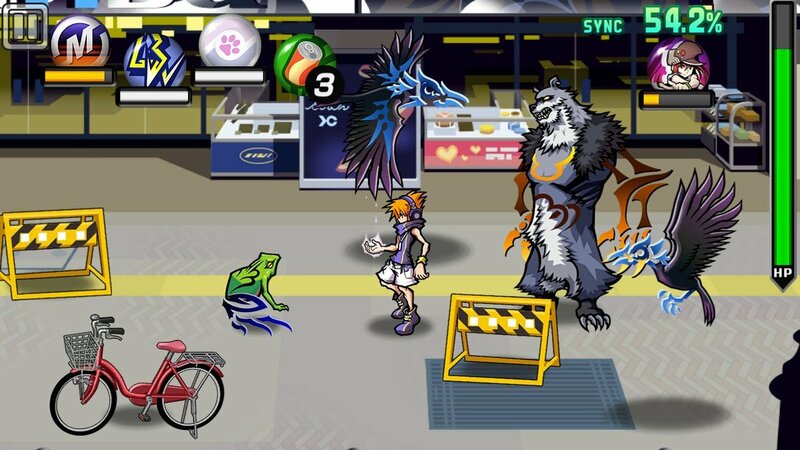 The World Ends With You: Final Remix is available now on Nintendo Switch and the Nintendo Switch eShop. The game is rated T for Teen. Catchy soundtrack with unique Shibuya-kei personality. Challenging and enjoyable combat with tons of pins to collect. Motion controls feel imprecise when using Joy-cons. Touch controls don't always register appropriately.